The plastic mold is a kind of machinery that is matched with the injection molding machine in the industry. The mold structure is complicated and the precision is required to be high, giving the plastic product a tool with a complete configuration and accurate dimensions. Due to the variety of plastics and the different processing methods, the structures of injection molding machines and plastic products are also varied. Therefore, the structure and design of plastic molds are also varied. 4. Except for PET material, other materials products’ wall thickness should not be too thin, generally not less than 1mm. 6. Gates and runners should be as wide and short as possible, and the gate location should be set according to the contraction condensation process. If necessary, cool material wells should be added. Customer to provide product map → analysis of products → confirm plastic varieties → confirm mold material → engineering drawing→ mirror image → improve group diagram → order mold → mold material → withdrawing pattern → 3D mold → determine the flow channel / Gate method → Refer to the bitmap for structural design → Dismount insert → Correction of 3D → Drawings of the project "Includes: mold kernels / inserts / mold embryos / parts" → do BOM table → proofreading audit. 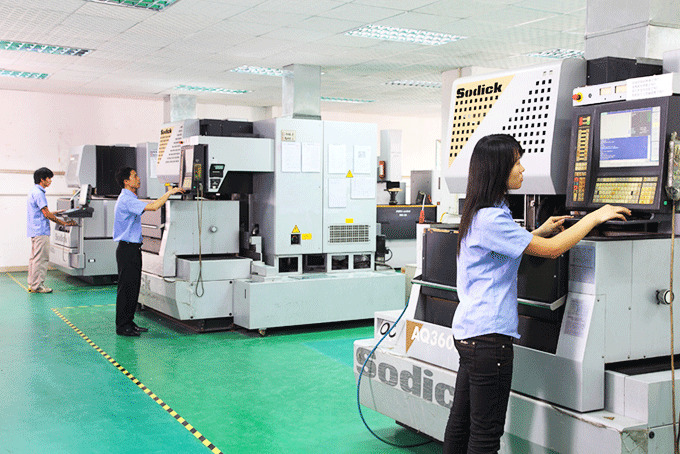 We Injection Molding factory provide professional one-stop service for injection custom molding, manufacture, injection molding, spraying, screen printing, assembly, etc. The products involve electronics, home, office, automotive and other industries, and have formed an annual output of several hundred million RMB mold design and manufacturing / injection / spray / assembly and other perfect industrial chain. With high quality moulds and excellent service, we have won the trust of our customers and have become Lenovo, HP etc. Fortune 500 companies mold and plastic parts designated suppliers.